Since this is a Contest about short fiction, we’ll keep things sweet, simple, and straight to the point.We’re accepting submissions of unpublished Flash Fiction. 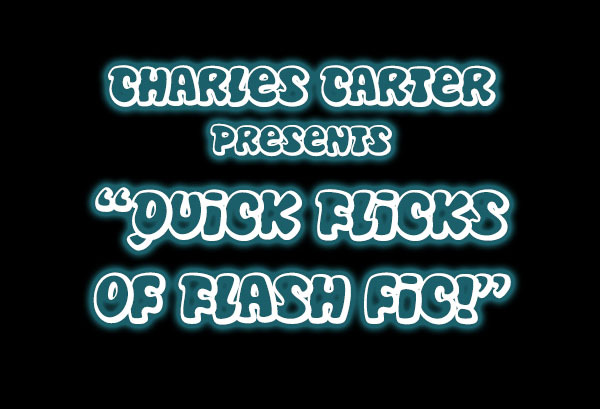 Here at The Charles Carter, we define Flash Fiction as a prose story between of more than zero words and less than or equal to 1000. We want you see you elicit maximum reaction in minimum space, so if you can make our judges love your piece in only ten words, feel free to leave out that extra 990. Give us poise. Give us potency. Most of all, give us your submission–we’re always excited see your work! Read on for all the details, nit, and grit. Submissions are capped at 5 pieces per individual author!